Is your London office as clean as you think? Bacteria and germs could be living where you don’t expect them. Keeping a clean office could be the solution to a more productive workforce. Did you know that germs from desk surfaces and office equipment could be the reason for staff sickness? If you want to reduce the frequency of staff sickness in your London office, keep reading! Two-thirds of British office workers eat al-desko. Eating at your desk could be the reason for staff sickness in your office. Should your office ban eating at desks? You might think that your employees eating at their desk will increase productivity, but eating at your desk allows germs to breed on desk surfaces, which can lead to staff sickness impacting productivity in the long run. Eating away from your desk not only means a more hygienic and tidier desk, going outside can also lead to a healthier and happier workforce. If you are going to eat al-desko, remember to keep all surfaces clean and sanitised. Your computer keyboard has 200 times more bacteria than a toilet seat! Those of us that work with a computer will know that we use our keyboard for most of the working day. Which means we eat, drink, sneeze and cough at our desks, causing germs to be transferred onto our keyboard. Keep your keyboard clean to maintain a hygienic workspace. Dialling your new client could be making you sick. There are more germs on your office phone than you may realise. Think about all the calls you make in one day at the office, you may even share your phone with a colleague. Sanitise your phone regularly to reduce the spread of germs in your office. The average office worker’s hand comes into contact with 10 million bacteria per day. Bathroom hygiene is extremely important. Washing your hands will stop germs and bacteria from spreading, but unless you keep your washroom hygienic, washing your hands will not be effective in stopping germs from spreading. The average kitchen contains 100,000 times more germs than a bathroom. Make sure your office has good food hygiene. Consider a system to dispose of food left in the fridge at the end of the week, to help maintain a hygienic kitchen. Illnesses like stomach bugs can spread more easily in the kitchen, but keeping good hygiene will prevent this, giving you a happy and healthy workforce! More advice and information on our cleaning services. By making contact with us, you are sending us the information you filled in above and that you consent to it being stored and managed by this website. 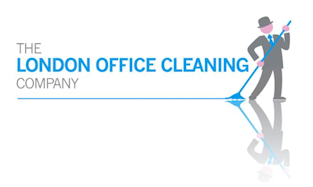 How clean is your London office? Is Your London Office Crying Out For A Deep Clean? By making contact with us you consent to your information being stored and managed by this website.